Thompson, Mark (ed). Long Road to Freedom. The Advocate History of The Gay and Lesbian Movement. New York. St. Martin's Press. 1994. 4to. Hard cover. First edition. Illustrated in black, white and color. Foreword by Randy Shilts. 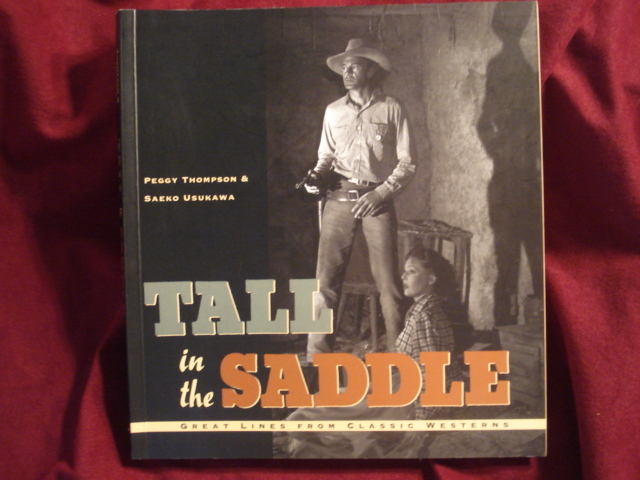 Fine copy in near fine (small closed tear on rear panel) dust jacket (in mylar). Thompson, Mark (ed). Long Road to Freedom. The Advocate History of The Gay and Lesbian Movement. Photo available. New York. St. Martin's Press. 1994. 4to. Soft cover. Illustrated in black, white and color. Foreword by Randy Shilts. Fine copy. Thompson, Peggy. Tall in the Saddle. Great Lines from Classic Westerns. San Francisco. Chronicle. 1998. Octavo. Soft cover. First edition. Illustrated in black, white and color. Fine copy. Thompson, Peggy. Tall in the Saddle. Great Lines from Classic Westerns. San Francisco. Chronicle. 1998. Octavo. Hard cover. First edition. Illustrated in black, white and color. Fine copy. Thompson, Peggy. Tall in the Saddle. Great Lines from Classic Westerns. Photo available. San Francisco. Chronicle. 1998. Octavo. Soft cover. First edition. Illustrated in black, white and color. Fine copy. Thompson, Sylvia. Feast and Friends. Recipes from a Lifetime. San Francisco. North Point. 1988. 287 pps. Octavo. Hardcover. First edition. Foreword by M.F.K. Fisher. Fine copy in near fine dust jacket (in mylar). Thompson, Tommy R. A History of The University of Nebraska at Omaha. 1908-1983. Omaha. University of Oklahoma. 1983. 4to. Hardcover. First edition. Illustrated in color and black & white. Fine copy in fine (very light spine fading) dust jacket (in mylar). Thompson, William Irwin. The American Replacement of Nature. The Everyday Acts and Outrageous Evolution of Economic Life. New York. Doubleday. 1991. Octavo. Hard cover. First edition. Fine copy in fine dust jacket (in mylar). Thompson, William Irwin. The Findhorn Garden. Pioneering a New Vision on Man and Nature in Cooperation. New York. Harper. 1975. 180 pps. Octavo. Soft cover. Reprint. Illustrated. Fine copy. Thompson, William Irwin. 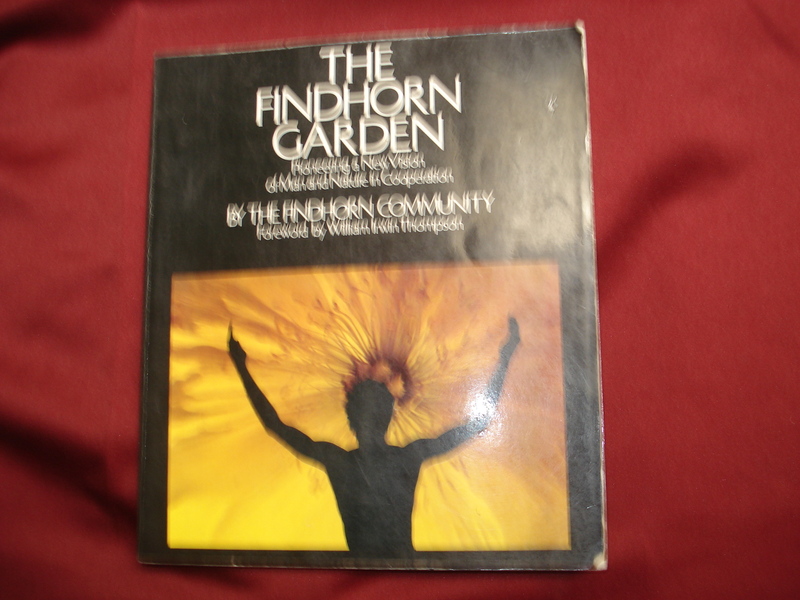 The Findhorn Garden. Pioneering a New Vision on Man and Nature in Cooperation. Photo available. New York. Harper. 1975. 180 pps. Octavo. Soft cover. Reprint. Illustrated. Near fine copy (very light shelf wear). Thompson, William Irwin. The Findhorn Garden. Pioneering a New Vision on Man and Nature in Cooperation. Photo available. New York. Harper. 1975. 180 pps. Octavo. Hardcover. First edition. Illustrated. Fine (owner name on end paper) copy in fine dust jacket (in mylar). Thompson, William Irwin. The Findhorn Garden. Pioneering a New Vision on Man and Nature in Cooperation. Photo available. New York. Harper. 1975. 180 pps. Octavo. Soft cover. Stated first edition. Illustrated. Important reference work. Fine copy. Thompson, William. At the Edge of History. Speculations on the Transformation of Culture. New York. Harper. 1972. Octavo. Soft cover. First edition thus. Near fine copy (very light shelf wear). Thomson, Lee. Cowboy Bandanas. Uses & Abuses. Photo available. Salt Lake City. Gibbs Smith. 1993. 4to. Soft cover. Illustrated. Near fine copy (very light shelf wear). Thomson, Oliver. The Great Feud. The Campbells & The MacDonalds. Photo available. Stroud. Sutton Publishing. 2000. 207 pps. Octavo. Hardcover. Stated first edition. Illustrated. Important reference work. Fine copy in fine dust jacket (in mylar). Thomson, Virgil (ed. by Tim Page and Vanessa Page). Selected Letters of Virgil Thomson. Inscribed by both Editors. New York. Summit. 1988. Octavo. Hardcover. First edition. Inscribed by the authors. Fine copy in fine dust jacket (in mylar). Thoreau, Henry David. The Illustrated World of Thoreau. New York. Grosset & Dunlap. 1974. 4to. Soft cover. Reprint. Illustrated by Ivan Massar. Afterword by Loren Eiseley. Fine copy. Thoreau, Henry David. 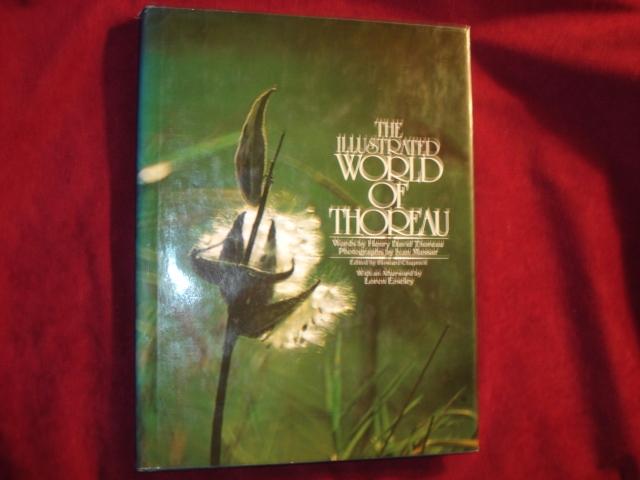 The Illustrated World of Thoreau. Photo available. New York. Grosset & Dunlap. 1974. 4to. Hard cover. First edition. Illustrated by Ivan Massar. Afterword by Loren Eiseley. Fine copy in fine dust jacket (in mylar). Thorlin, Eldora. Everyday Korean. A Basic English-Korean Wordbook. New York. Weatherhill. 1981. Octavo. Soft cover. Reprint. Fine copy. Thornburg, Opal. 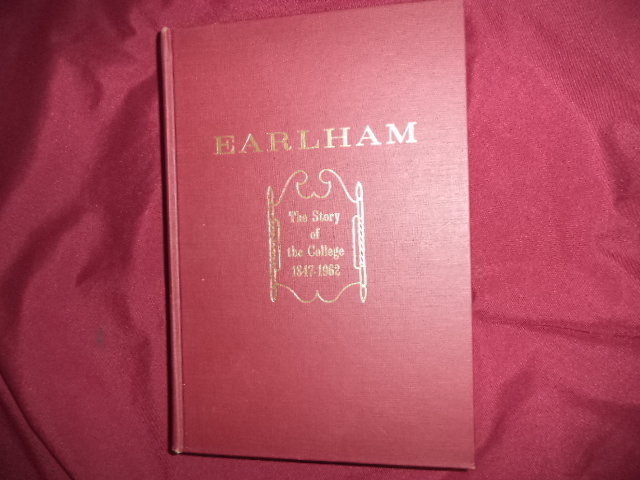 Earlham. The Story of the College. 1847-1962. Photo available. Richmond. Earlham College Press. 1963. 4to. Gilt decorated hard cover. First edition. Illustrated. Fine copy. Thornton, Don. Beat This. 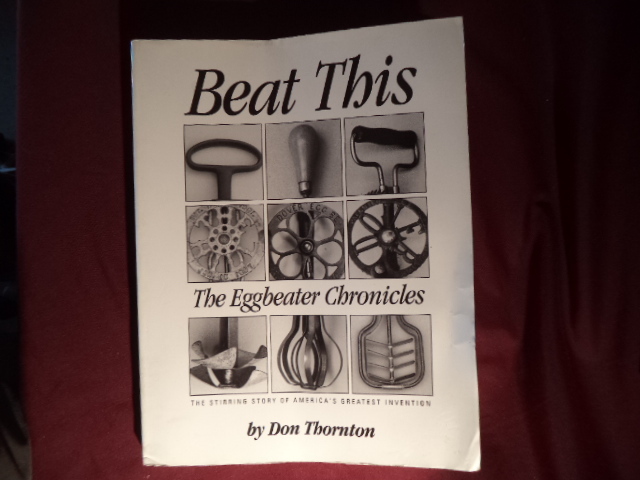 The Eggbeater Chronicles. The Stirring Story of American's Greatest Invention. Photo available. Sunnyvale. Off Beat Books. 1994. 242 pps. 4to. Soft cover. First edition. Full number line. Illustrated. Important reference work. Near fine copy (very light shelf wear). Thornton, Matt. 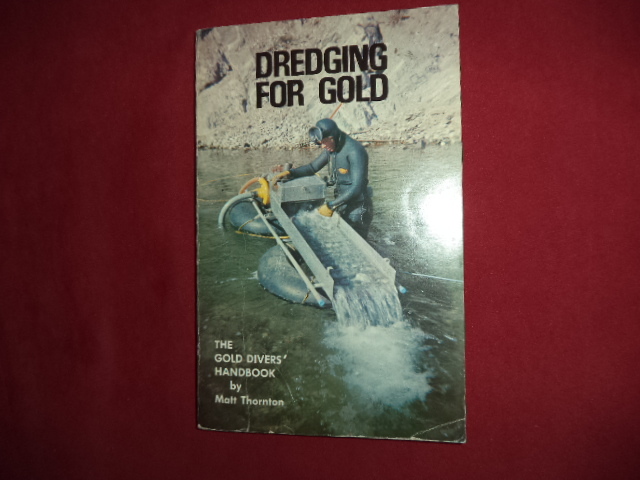 Dredging for Gold. The Gold Divers' Handbook. 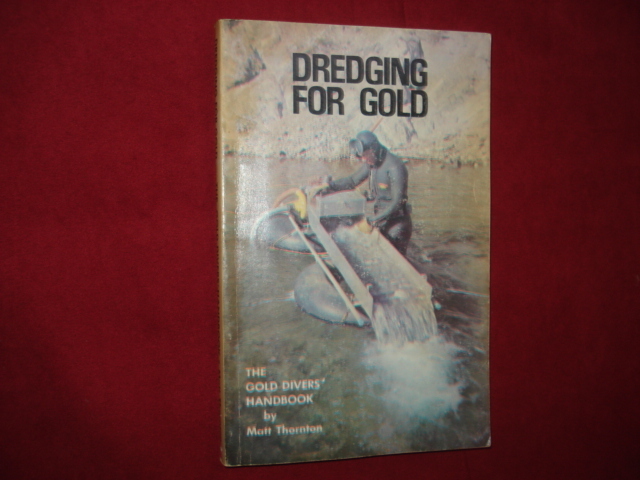 An Illustrated Guide to the Hobby of Underwater Gold Prospecting. Photo available. Northridge. Keene. 1979. Octavo. Soft cover. Reprint. Illustrated. Fine copy.